I am by no means a Ramen Expert, but I think I eat enough to be able to tell if a steaming hot noodle bowl is good or not. I don't add a lot of stuff to my ramen, and unlike most people I know who like their spicy tantanmen, I like mine devoid of spice, but packed with flavor. I like to really taste the broth made by boiling and simmering pork bones, and I like my soup on the creamier, fuller bodied side. More often that not, I just have some chashu pork and soft boiled egg, and occasionally, some nori. 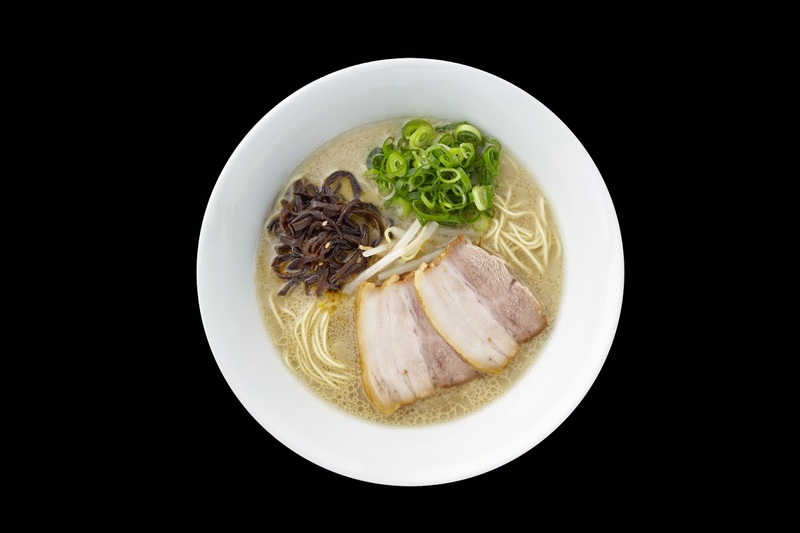 There's OK ramen, and there's "Can we eat here again tomorrow?" ramen. To be completely honest, out of all the bowls I've tried EVER, I've only felt the latter about two. One was during my last trip to Sydney and the other was Ippudo, which I first tried in New York. Unfortunately, I didn't get to eat it again the next day, and I had to wait a few years later to have it in Hong Kong. Walking around TST last year, I look up and what do you know, I spot Ippudo. I insisted on dinner there, and told my friend that despite the thirty minute wait, we absolutely could not eat anywhere else. I was starving after a day of window shopping, so aside from the Shiromaru Motoaji (aka what they are famous for) with tamago, I also ordered a few other plates like wings and salmon. Super Takaw Mata, but despite not finishing everything because I totally over-ordered, everything was deliciously satisfying. Ok, so what is the point of this post? Well, aside from the fact that ramen is one of my favorite comfort foods, and also because food memories are probably the most vivid memories I have, I also found out Ippudo is opening in Manila- and VERY SOON. I'm beyond excited and the best part is, it will be at Mega Fashion Hall, aka MegaMall, aka a ten minute drive from my place. I CAN'T WAIT! My family loves ramen especially my daughter and I would love to take her to Ippudo to one of our mommy-daughter dates! My strange ramen addiction will be so hyped about this! I've tried almost every ramen places in the metro (even in south) searching for that perfect ramen. I have several 'Can we eat here again tomorrow?' ramen and I hope Ippudo is the one I've been waiting for! Ugh now I'm craving! As a flight attendant, I get to try out great food in different countries.. I feel lucky that i get to try them from where they originated and somewhat know how it should taste like.. I have tried so many ramen here in Manila and other countries like L.A. And Canada but Nagoya ramen is somehow incomparable.. So i would love to try out Ippudo and see if I'd have a go-to restaurant here in Manila when i need my ramen-fix and no flight schedule to Japan.. I'm pretty sure my flying friends would love to go there if they find out it's as yummy! Besides that I really love to eat ramen, I am glad that Ippudo is already here in the Philippines. This will bring back all my good memories of Japan and I would not have to wait for too long to have a sip of its very rich soup, tender noodles, melt in your mouth pork and of course who would forget about ajitama!! I would like to share this experience to my loved ones. I have yet to taste something that is better than the current Ichiban, Ramen Nagi (in my opinion), here in Manila. Let's see how they compare, for sure.